This study guide, ideal for small groups, covers the first eight chapters of "Judges", looking at the lives of Othniel, Ehud, Deborah and Gideon. The Israelites were stuck in a cycle of behaviour: worshipping idols instead of God; being oppressed by a foreign nation; crying out to God for help; being provided with a judge to deliver them, worshipping idols instead of God, and so on. And far from learning from their mistakes, the Israelites got progressively worse as the cycles unfolded. Phin Hall helps us to see through this downward spiral and discover that the book of "Judges" is a book all about faith - the importance of faith, what can be achieved when we work together with God, how faith can be demonstrated in the way we live, God's commitment to growing and shaping our faith and in addition the things that can damage our faith. 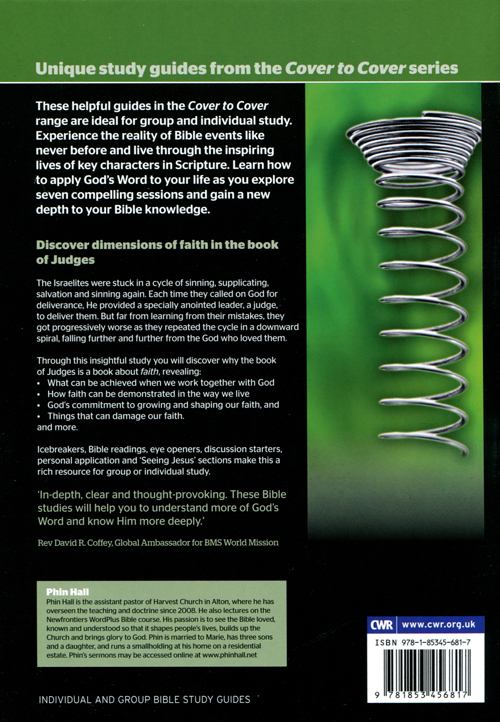 Judges 1 - 8 - Cover to Cover Bible Study by Phin Hall was published by CWR in March 2012 and is our 19681st best seller. The ISBN for Judges 1 - 8 - Cover to Cover Bible Study is 9781853456817. Be the first to review Judges 1 - 8 - Cover to Cover Bible Study! Got a question? No problem! 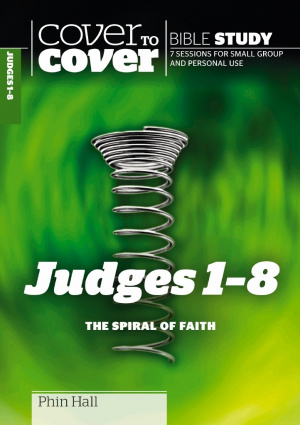 Just click here to ask us about Judges 1 - 8 - Cover to Cover Bible Study.